This is the project with the biggest international impact that Kriskadecor has ever had up till now. As a completely customized project, the aluminum curtains have been present in up to 48 countries around the world: Saudi Arabia, China, Egypt, Hong Kong, Indonesia, Qatar, etc. 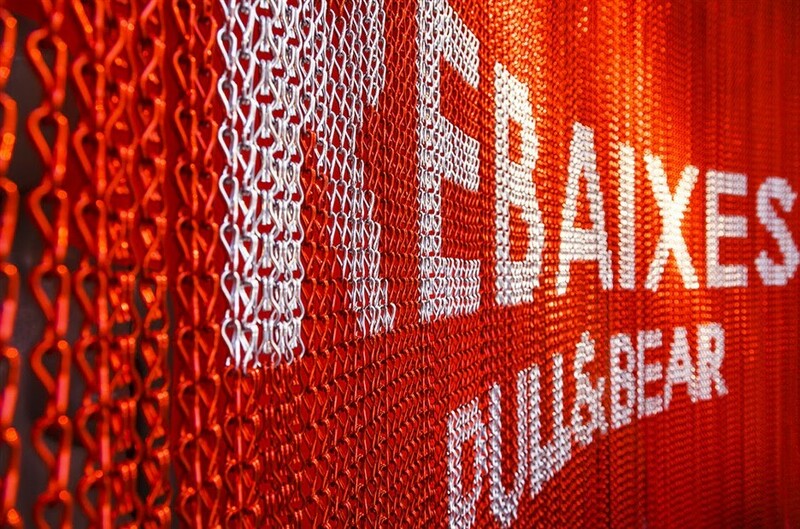 Kriskadecor manufactured the curtains for the shop windows with a red brilliant background. 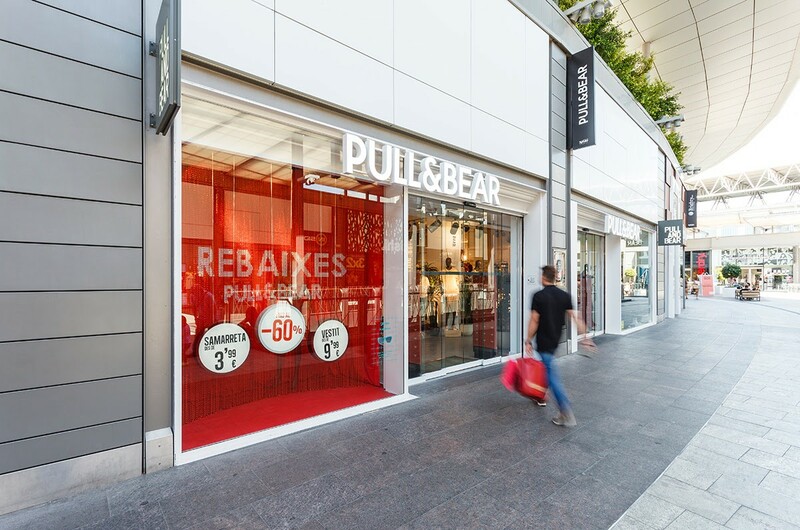 They show the word “Sales” in the language of each country as well as the Pull&Bear brand in brilliant silver. 1.100 Km of chain was needed to create all the curtains. This length is equivalent to the distance from Paris to Berlin.